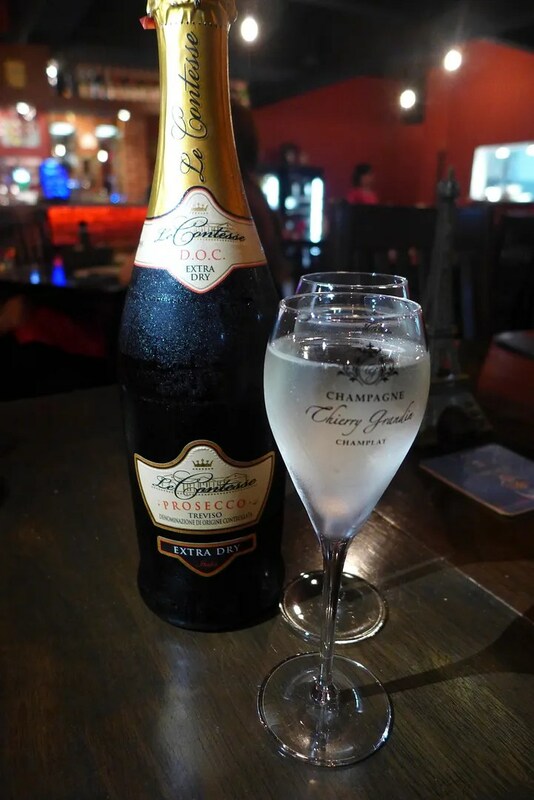 If you ask me to list my Top 5 current favourite restaurant in Klang Valley, Rendez-vous would definitely on the list. 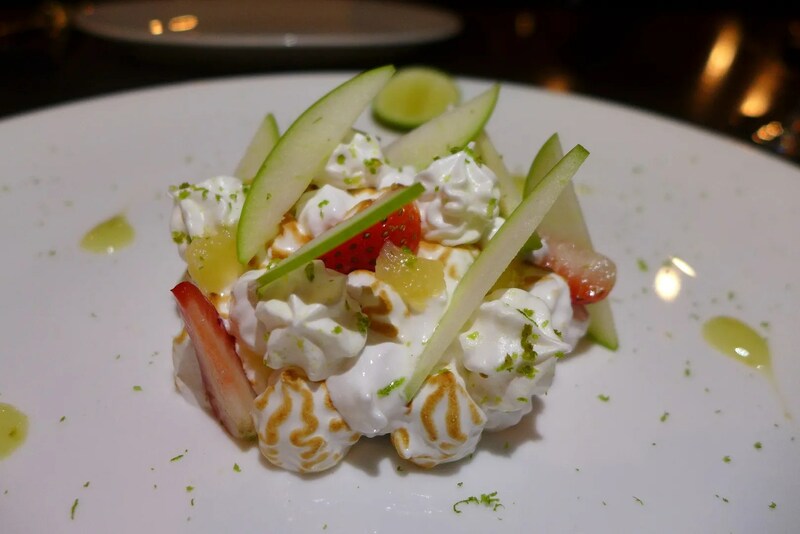 It’s not just that I’m a Francophile, as mentioned in my previous post of the very same restaurant; but there’s a new face in Rendez-vous kitchen and the whole menu has been given a much needed overhaul to reflect the modern take on bistro-style French Dining. 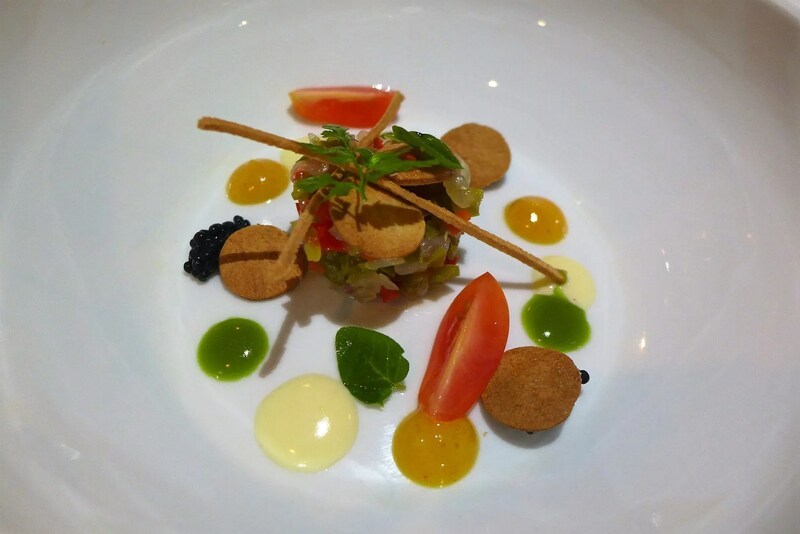 Introducing Chef Benjamin Reiles, a young Chef with quite an impressive resume, having refined his skills at prestigious places like Michelin Three Star Le Pré Catelan in Paris and Brasserie des Beaux Arts in Toulouse. 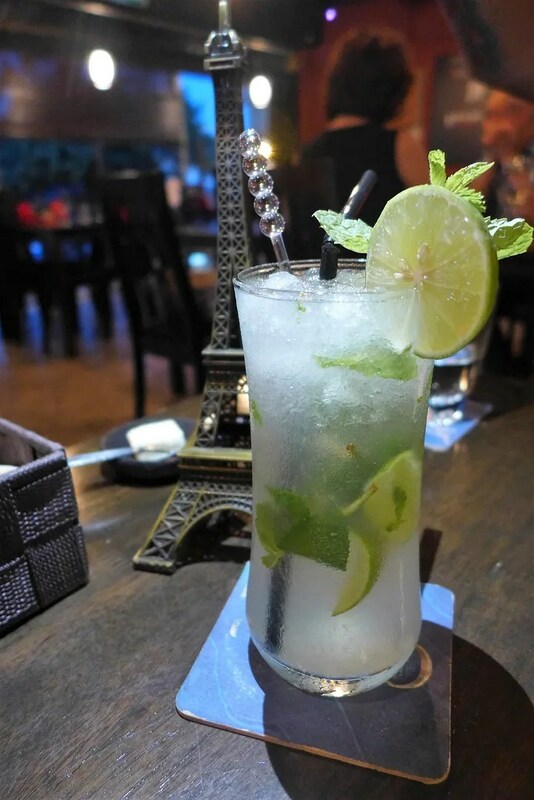 Rendez-vous itself is quite an inviting space, with great service and relaxed vibe casual enough for family outing, yet formal enough for a date. Another bonus? 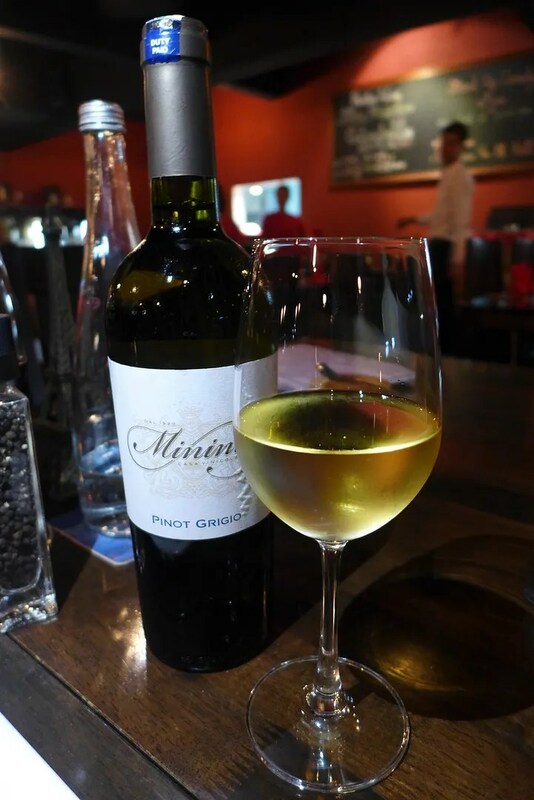 It features a large bar and the wine list will keep any wine enthusiast happy. A mojito to kick off the lovely evening. I always appreciate the effort that goes into this so this was enjoyed very slowly. 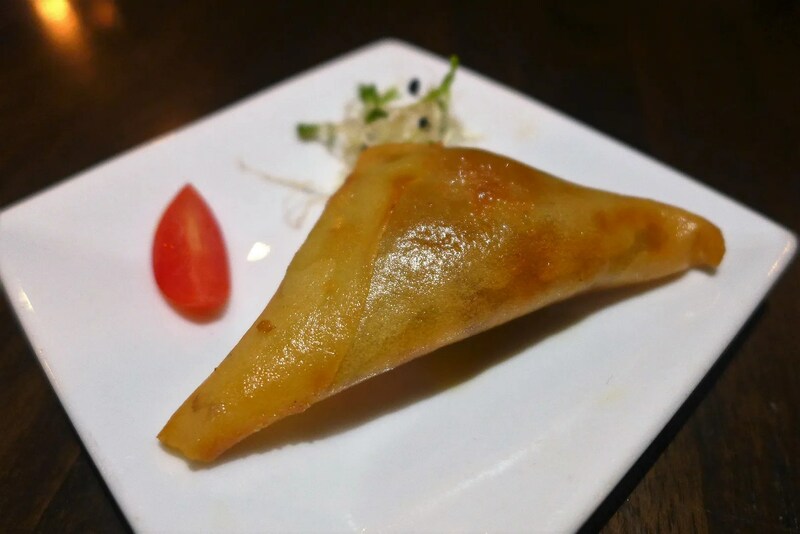 Rather surprised to be receiving a Lamb Samosa as our Amuse Bouche. But definitely not going to complain as it’s filled with delicious morsel of lamb cooked for hours. 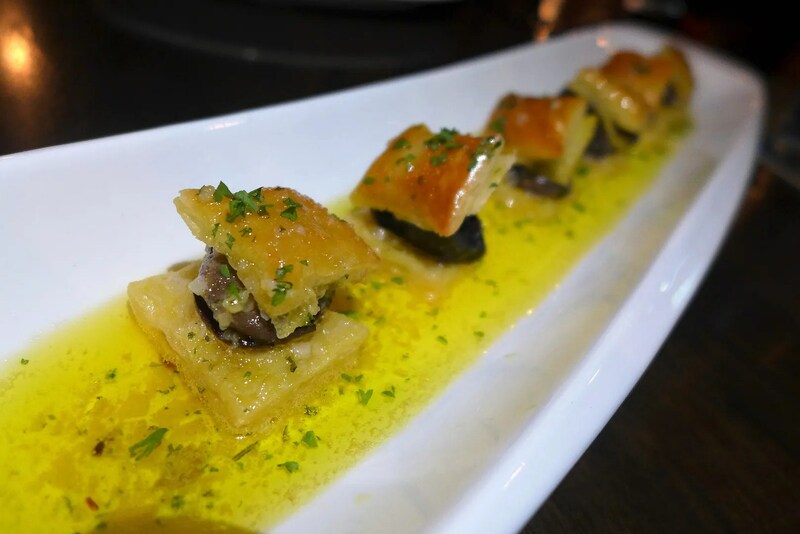 Our first starter was “Escargots a la Bourguignonne” (RM28), featuring some Snails with parsley and garlic butter sauce in vol au vent. The snails are kept tender while the pastry soaked up that delicious butter sauce. 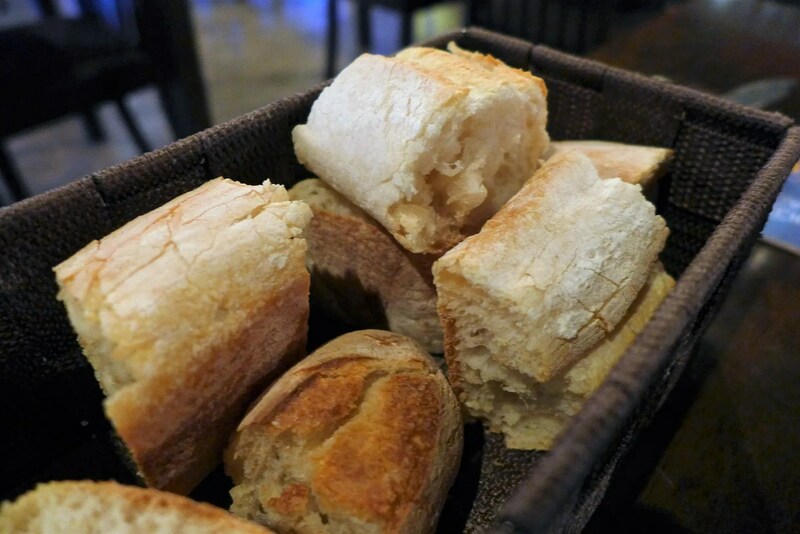 And it’s mandatory to soak up that sauce with these freshly baked baguette. Probably the best bread we’ve ever eaten at a restaurant, make sure you do save some stomach space to eat this with everything. I think Kevin had the whole basket that night. Heh. 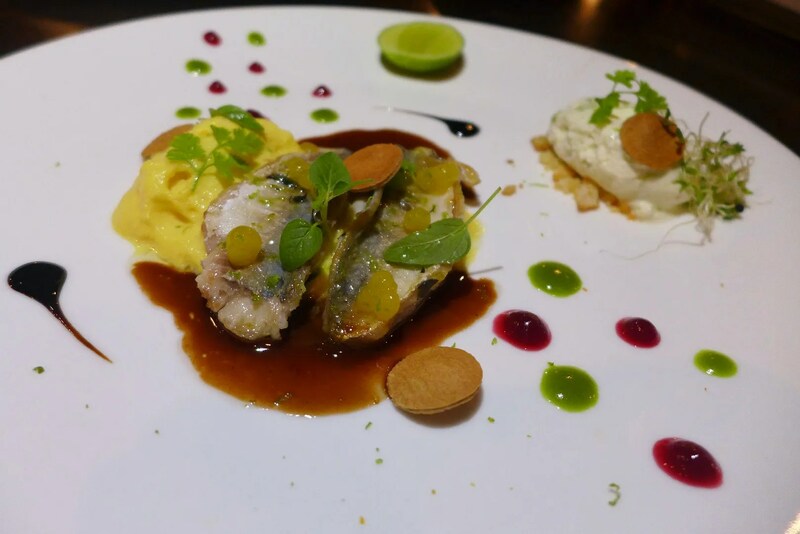 “Soupe de poissons” (RM24). The Fish soup here is served in front of us. So first we get a bowl with all the pretty components sans the liquid. 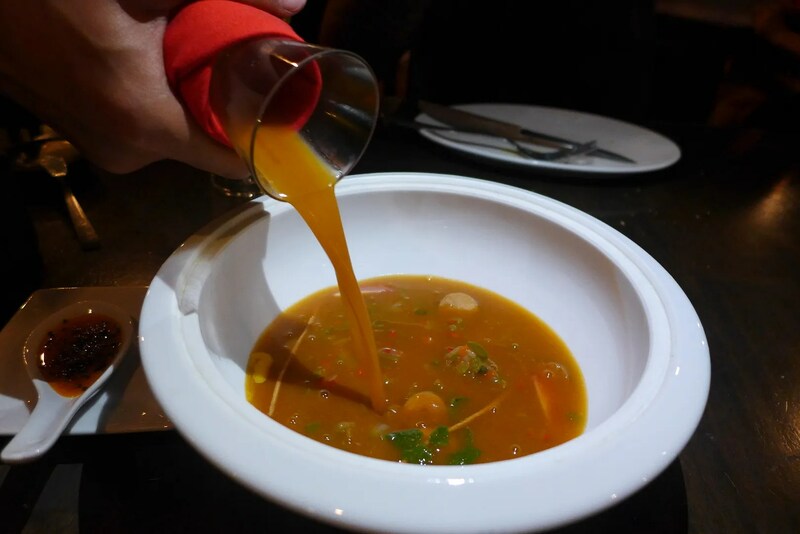 The soup has a great balance of tang, sweetness and briny umaminess. Something I wouldn’t mind slurping on time and time again. To sweeten the deal, we were also served a spoonful of Lobster nectar. Talk about a decandent treat! 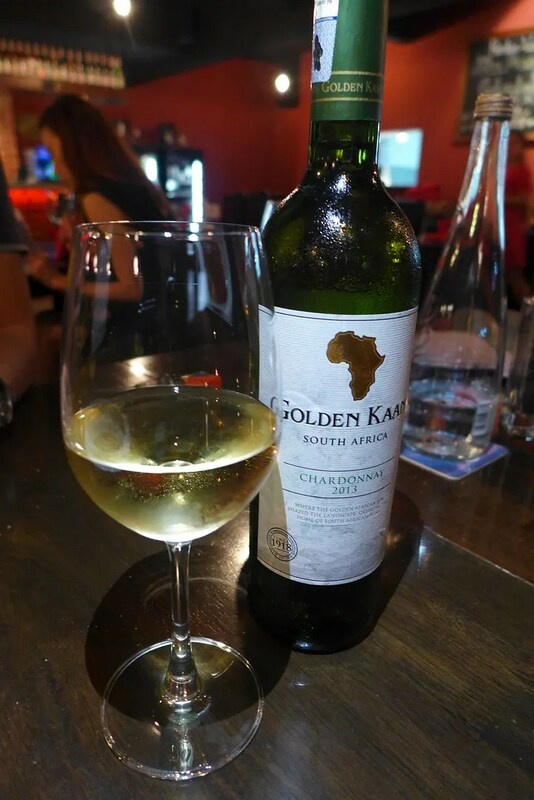 It’s also aptly paired with a 2013 Chardonnay from South Africa. The sardines are not on the menu but I enjoyed the tender flesh and the citrus pearls that came with it. It also came with a saffron tinted puree (Cauliflower, it seems) which goes very well with the briny fish. The mains here are divided into fish, poulty and red meat and we were treated to one of each. 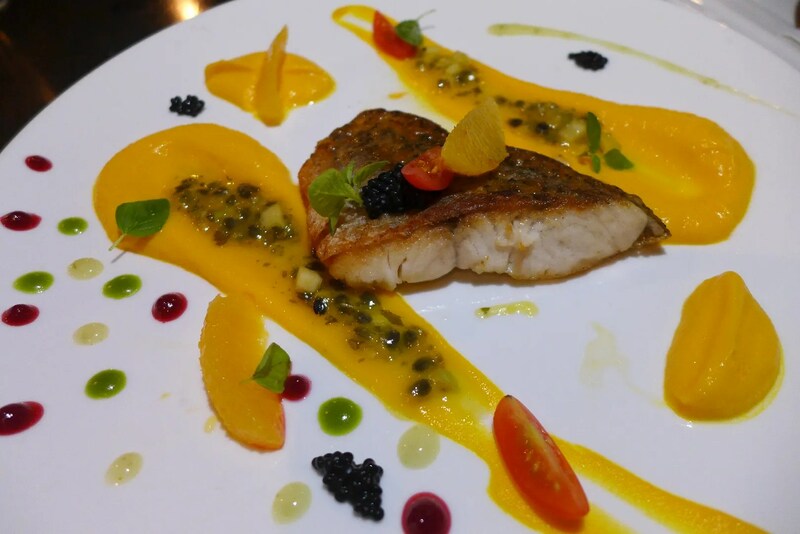 First the “Filet de loup de mer” (RM58), Seabass filet, creamy carrot puree and avruga caviar, citrus vinaigrette. For a main the seabass seems to be on a smaller side in comparison to the condiments given. Probably why it’s a little bit on the dry side, but I do love the carrot puree with the surprise addition of floral passion fruit. One thing of note too the price here is rather reasonable and even with wine pairing, it won’t break your bank. 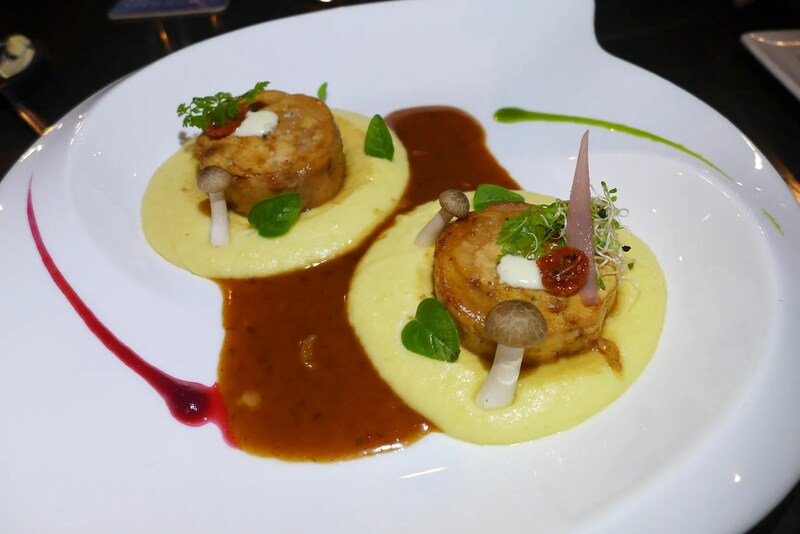 The poultry dish “Poulet façon cocotte” (RM36) comes as a form of stuffed chicken, mash potato and creamy mushroom. The chicken is so tender and juicy and the mash potato gets full approval from me. Love the presentation too. Paired with a very nice glass of Pinot Grigio. Well we move on to the red meat and it’s non other than a traditional Beef Stew. 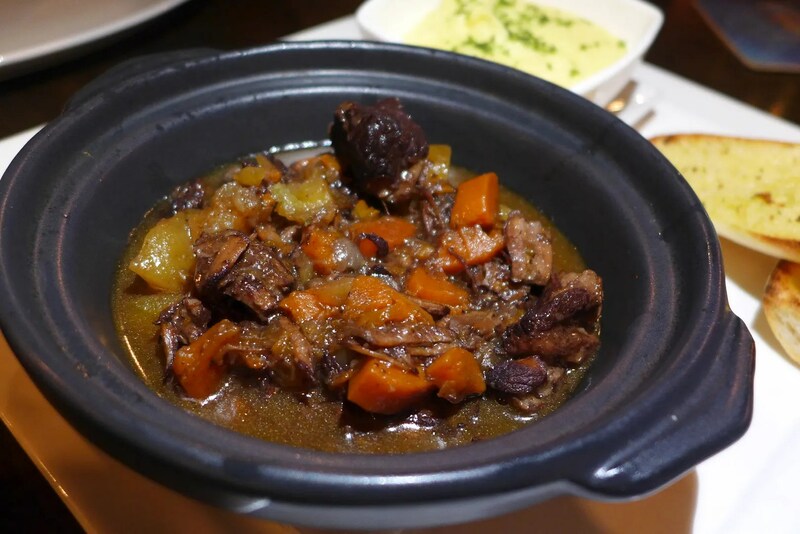 “Boeuf Bourguignon” (RM59). Here the beef is braised for at least 8 hours in a red wine sauce. 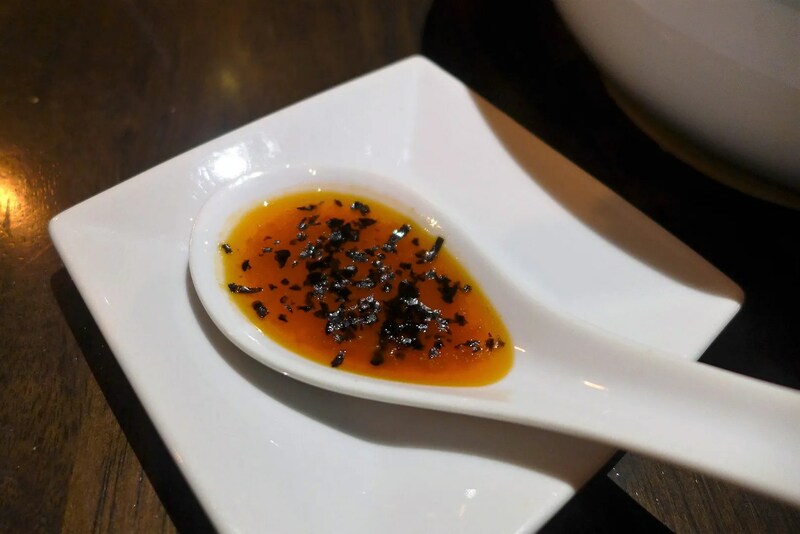 The sauce has a great depth of flavours, however I find some pieces of meat to be on the dry side, perhaps exposing to air for a little long. Nonetheless a good version of Beef Bourguignon I don’t mind having again. 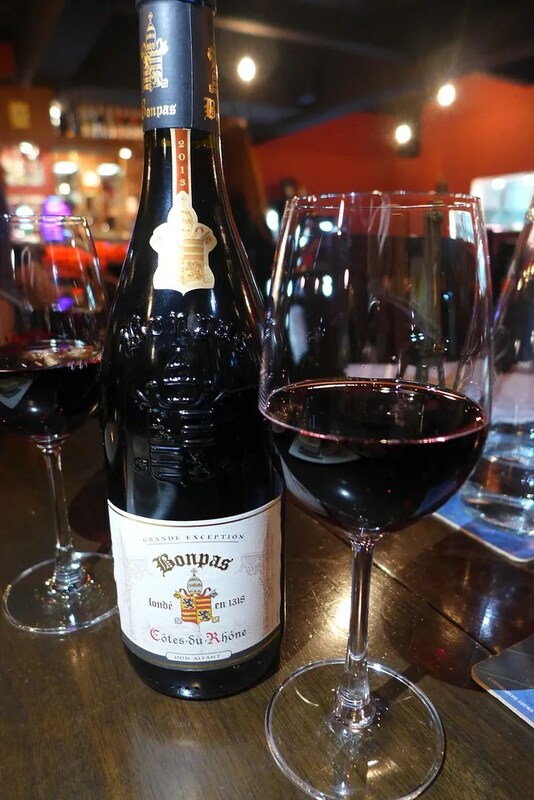 A hearty red to go with this dish. 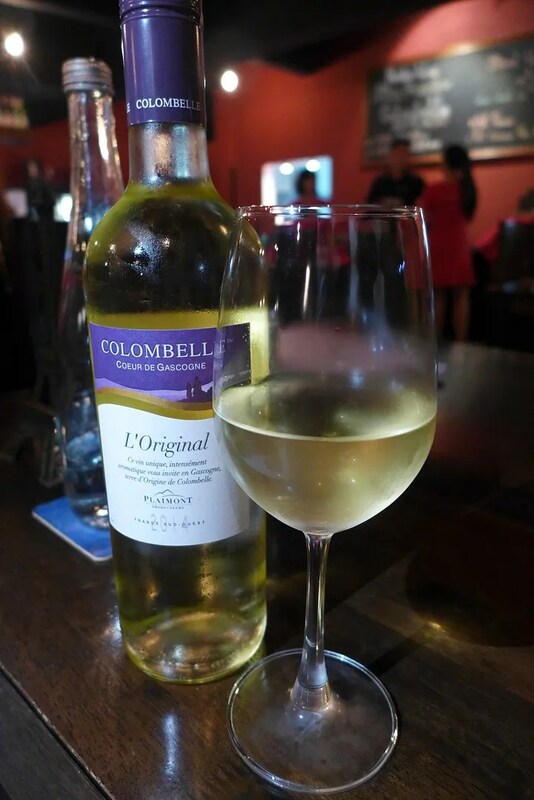 We are not much of Red wine drinker but found this pretty drinkable. I know it’s a terrible word to use for something like this, but there are some reds we just can’t tolerate so yeah. 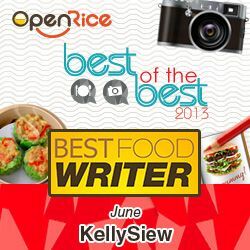 Well, as usual with any food review session we had to cough up some extra space in our tummies and all that food and wine seriously had us waving white flags. But I would not say no to Lemon Meringue. “Tarte au citron meringue” (RM17). Lemon tart here comes with h hard and soft meringue. You get the best of both world in terms of the meringue. Love the pillowy soft, freshly torched clouds of meringue, while there’s also little crunchy for textural contrast. The lemon curd is wonderfully tart, the way I like it. Yum. “Crêpe Suzette” (RM28). 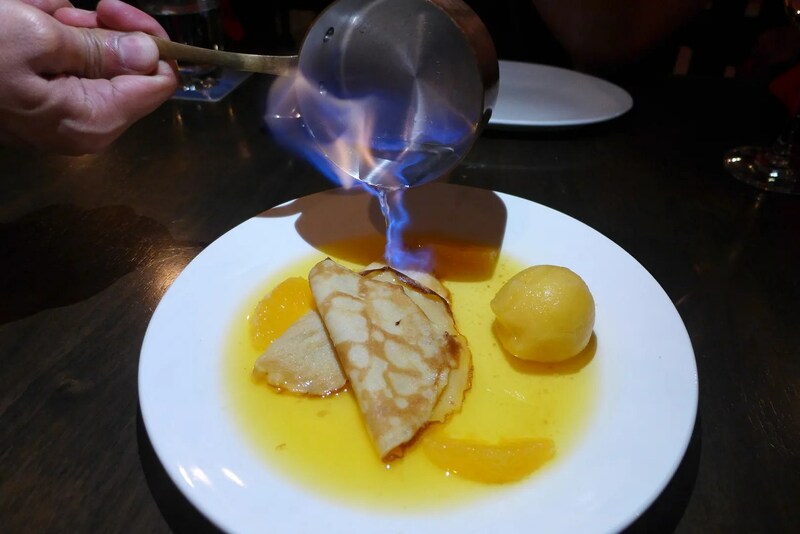 The traditional French pancake is given the usual theatrical twist being flamed on the table with Grand Marnier. Nice way to finish a meal. Even nicer with a glass of crisp Prosecco. We went home with heavy tummies but very satisfied appetite. Thank you for hosting us! If you pay very close attention to the interior you might notice a little doorway marked “Upstage Lounge“, aptly located upstairs of Rendezvous. And this is yet another great venue for live music and occasionally stand up comedy. They hosted quite a few international acts, while many local talents have also graced the stage. Comedians the likes of Papi Zak, Kavin Jay and Prakash Daniel have also performed there. So do check out their facebook page or website for any upcoming shows. Who knows, maybe one day you’ll see me there too. Impressive fare but the Boeuf Bourguignon is the clear winner. Yeah I always appreciate a dish that’s slow cooked to extract all that delicious flavours! Saw the set menu includes cheese (fromages). Did you had it? I had it the first time I visited. Actually I had the whole cheese board to myself, it was delicious! It’s a fantastic place, I’m writing my entry soon too, will certainly be back!